The big event this week is Saint Patrick’s Day, of course, which falls on a Saturday this year, making it easier for revelers to party all night. If you have a ”Kiss Me I’m Irish” T-Shirt, you probably know where you’re going that evening. If you want to avoid green beer, I’ve a few suggestions for jazz, but have to admit that most blues and roots venues will be partying up. Nevertheless, there are opportunities to hear music during the rest of the week, and it will be unseasonably warm. So get out. Have fun. Stay safe. Axis Mundi @ Hell’s Kitchen, Minneapolis. 6pm – 9pm. (No cover) If you’re not up for staying out late in the middle of the week, check out this early show with the jazz & world grooves of Axis Mundi: Glen Helgeson, guitar; Michael Bissonnette, percussion; Dave Stanoch, drums; Gary Shulte, violin; and special guest Jim Anton on bass. Sophia Shorai @ The Dakota, Minneapolis. 7pm ($5) This is a late-breaking addition to the Dakota calendar. 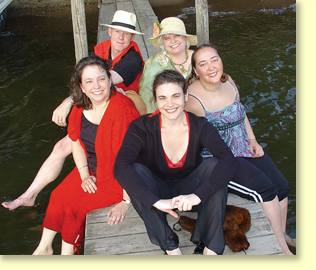 Shorai can apply her sweet, tender vocals to jazz standards, pop, and the occasional Brazilian tune with equal elan. She’s always backed by talented players. Plus it’s Foodie Night, with $10 bottles of wine and no cover if you purchase $20 of food. Hear examples of her singing at this website. REEL Jazz: Mose Allison – Ever Since I Stole the Blues @ Trylon Microcinema, 4358 Minnehaha Ave, Minneapolis. 9pm ($10) 7pm show is sold out for this documentary on Mose and his influence. A Second show has been added. Only 50 seats are available. Learn more about the REEL Jazz series and register here. Snowblind @ The Artists’ Quarter, Saint Paul. 9pm ($5) Original music that pays homage to masters like Ellington, Blakey, Monk & others, created by accomplished young musicians, each of whom is busy in a number of other projects. The quintet is Shihad Sen, tenor; Adam Rossmiller, trumpet; Scott Agster, trombone; Graydon Peterson, bass; and Reid Kennedy, drums. Well worth discovering. Richard Johnson Trio @ The Artists’ Quarter, Saint Paul. 9pm. ($15) Johnson continues his series of themed performances. This time he tackles TV Themes from the 80s. What will he play – Miami Vice? Hill Street Blues? the Golden Girls? Love Boat? One Day at a Time? The mind boggles. No matter what Johnson plays, he transforms it with exquisite taste, beauty, and imagination, which is probably why he held down the piano chair with both Wynton Marsalis (5 years) and Irvin Mayfield. Here’s a video of the trio at the AQ doing a song from West Side Story. JoAnn Funk Trio @ The Saint Paul Hotel Lobby Bar. 7pm – 11pm. (No cover) It’s difficult to say if the perenially hardy Saint Paul partiers will be stopping into the Hotel. If so, it’ll make for an interesting evening of people watching. But the real appeal is JoAnn on piano and vocals, Jeff Brueske, bass, and Nathan Norman, drums. Sit at the bar area, or on the comfy couches of the lobby and enjoy the trio’s laid back, yet swinging tunes. Benny Weinbeck Trio @ D’Amico Kitchen at The Chambers Hotel, Minneapolis. 7:30pm – 11:30pm. (No Cover) If the St. Patty’s day crowds are not your cup of tea, start the evening here, with music from A-listers, Weinbeck on piano, Gordy Johnson, bass, and Phil Hey, drums. Get your swank on with a cocktail from the bar and sit on a couch, or hang at the bar. Le Jazz Cool All-Stars @ Vincent. A Restaurant, Minneapolis. 10:30pm – Midnight. (No cover) Continue your Minneapolis escape from St. Patty’s crowds by walking a few blocks from The Chambers to Vincent at 11th & Nicollet where you can listen to Mary Louise Knutson, piano; and three members of the Minnesota Orchestra: Peter Kogan, drums; Charles Lazarus, trumpet; and David Williamson, bass. Adam Meckler Big Band Open Rehearsal @ Jazz Central, 407 Central Ave NE, Minneapolis. 4pm – 8pm. (donation) Adam held an open workshop at O’Garas a few months back that was quite lively and fun. Then he took part in Chris Bates open rehearsal at Jazz Central. Now, Adam is bringing the big band into the basement “rec-room” in the nondescript building across from Aveda. For those of us who’ll be able to fit in, this should be informative and fun as the band rehearses and Adam talks about the process of composing and arranging his music. Doug Haining & “Cool Breeze” Brown @ The Nicollet Coffeehouse, Minneapolis. 7:30pm. (tip jar) Maryann Sullivan and Rhonda Laurie continue to bring in surprising combinations of artists for this swing dance -friendly venue. 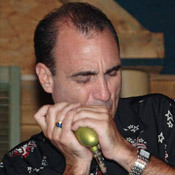 Doug is well known for his work on sax, while “Cool Breeze” on guitar has propelled the Senders (and dancers) for years. 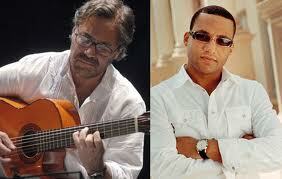 Al di Meola & Gonzalo Rubulcaba @ The Dakota, Minneapolis. 7pm ($40) & 9pm ($25) A couple of virtuoso artists. Di Meola first came to attention for his electric work with Return to Forever. Since then, his solo work has moved towards Latin and Flamenco rhythms with his group World Sinfonia, so the pairing with the dazzling Cuban pianist Rubulcaba is a natural. For further commentary on Twin Cities jazz check out the blogs Jazz Police, Bebopified, and Jazz Ink. For a comprehensive listing of Jazz in the Twin Cities, go to the Bebopified Calendar, here. Orkestar Bez Ime w/Yale Women’s Slavic Choir @ The Black Dog Coffee & Wine Bar, Saint Paul. 7:30pm – 9:30pm. (tip jar) Music that will have you spinning, twirling, jumping, and yelling. It’s Balkan party music and dancing is encouraged. Special guests are the Yale Women’s Slavic Choir, whose music just might make the hair on the back of your head stand up. Havana Hi-Fi @ the Aster Cafe, Minneapolis. 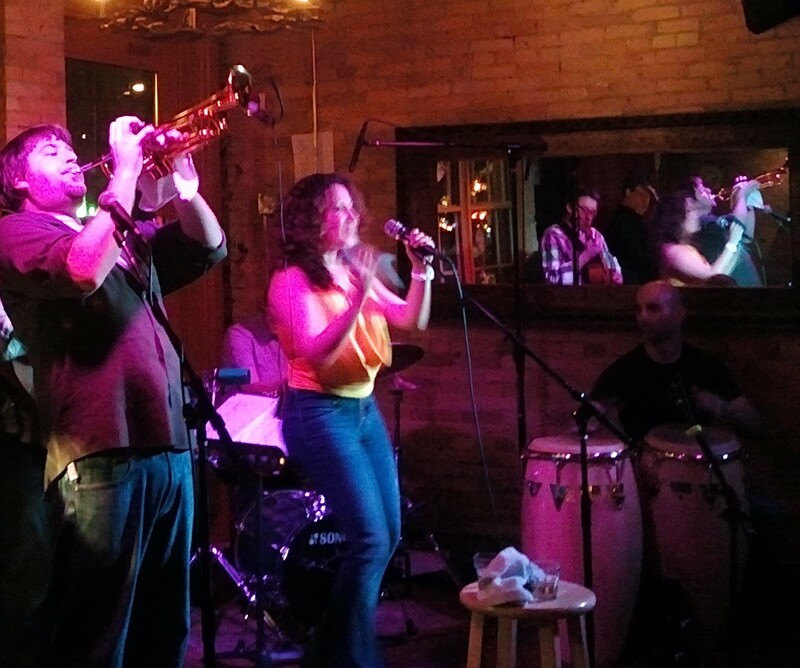 9pm ($10) Last time this six-piece group appeared at the somewhat tiny Aster, many folks managed to find enough room to dance to theit hard-to-resist Latin rhythms. Daddy Squeeze w/Erik Koskinen @ The Crooked Pint Ale House, 501 Washington, Minneapolis. 9pm ($5) Dan Newton has been squeezing amazing music from the accordion for over 25 years. Koskinen’s guitar work is tasty as can be, with an alt-country/rock n’ roll bent that serves folks like Molly Maher and Randy Weeks so well, not to mention Erik’s own compositions. Lights Out Committee @ The Minnesota Music Cafe, Payne at East 7th St, Saint Paul. 9pm ($?) This 8 piece band gives out big doses of the Philly Sound and New York disco (disco before it became solely a producer’s medium). They were local faves in the 90s, and their reunion at Lee’s a few months back was so successful that they’ve been lured to Saint Paul. Prime dancing music at a place with a good size dance floor and great sight lines. Plus, you can get some eats to replenish the calories you burn on the dance floor. Catch them while you can as members have gone on to other pursuits, and another performance is highly unlikely. Worldwide Diskotek @ Club Jaeger, Minneapolis. 10pm. (No cover) Deejays Brian (Hipshaker) and Steely (KFAI’s Kinda Cloudy) are bringing some righteous, funky vinyl from Africa, the Caribbean, Europe and other far-flung environs to the warehouse district’s North Loop so you can get down aroun’ the world, so to speak. Lynwood Slim Benefit @ The Cabooze, Minneapolis. 2pm – 7pm. Once again, a bunch of bands and are getting together to raise funds to help a friend. Lynwood Slim, a former Twin Citizen and harp player extraordinaire, needs a liver transplant. Without one, he’s got bout two years to live. Today’s performers include the Butanes, Maurice Jaycox, Willie Walker, Big Walter Smith, Willie Murphy, Lisa Wenger, Big George Jackson, and others. Mary Cutrufello and Butch & Spider on Saint Paul Live!, KBEM 88.5FM. 7pm – 8pm. Two performances from last fall. Mary’s into a country thing, as recorded at The Amsterdam, while Butch & Spider perform together and solo at an SRO performance at the Artists’ Quarter. For a more comprehensive listing of blues events, see the Minnesota Blues Society calendar. For a comprehensive listing of Cajun and Zydeco events, see the Krewe de Walleye calendar. This entry was posted on Wednesday, March 14th, 2012 at 9:17 am and is filed under Weekly Preview. You can follow any responses to this entry through the RSS 2.0 feed. You can leave a response, or trackback from your own site.